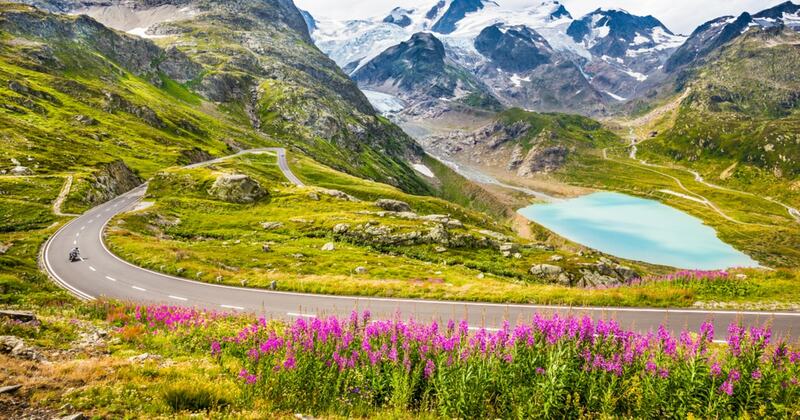 The German Alpenstrasse is one of the world’s most scenic drives as it weaves its way through breathtaking Alpine scenery on its 450km route. The trip takes you from Lindau on the banks of Lake Constance to the intriguing Eagle’s Nest near Lake Konigsee, passing lakes, historic towns, fairytale castles, frescoed churches and waterfalls. It officially ends at Berchtesgaden, a mere 30 minutes from Salzburg, if you want to end your trip on a classical high note in the home of Mozart! In theory, you could do the whole German Alpine Road in a day, but why rush such a scenic pleasure? It makes sense to fly into Munich and overnight in this beautiful Bavarian city. Shopping, gardens, museums, Olympic history, Bavarian palaces, churches and the delightful Rathaus (town hall) surround the central Marienplatz in this capital of thigh-slapping entertainment, sausages and foaming steins of locally brewed beer. Pick up your luxury hire car in Munich and make it a Porsche, to blend in with the locals. The family-sized Porsche Cayenne is built for this type of terrain, but if you’re travelling solo or as a couple, the two-seater Porsche 911 Carrera 4S Cabriolet is lots more fun in the warmer months and gets my vote every time. A three-day itinerary paces the route beautifully with plenty of time for stops. Budget some time in Munich at one end, and a day to enjoy Salzburg at the other, before returning your Porsche and flying home. The price of your car rental conveniently includes car pick-up from your hotel, the airport, or wherever you choose. The German Alpine Road cuts through stunning natural surroundings in Upper Bavaria and the Allgäu as it zigzags along the German-Austrian border. Say farewell to scenic Lake Constance in your rear-view mirror and put your foot down as you anticipate the joys of the road ahead. From the outset, the Alpine Road exceeds expectations with its snow-capped peaks and enough hairpin bends to thrill any aspiring rally driver. The Porsche 911 Carrera 4S will eagerly eat up the tarmac, relishing each uphill challenge and responding to every twist and turn of this glorious Alpine route. If you’re planning a summer trip, you can anticipate dropping the soft top of this iconic sports car and breathing in the pine-scented air. It’s glorious! Climb through the rural Allgäu region before dropping into Oberammergau with its historic buildings. It offers a good choice of accommodation and places to eat such as the Michelin Guide-listed Ammergauer Maxbräu which as a rustic restaurant with its own traditional brewery attached to the delightful Hotel Maximilian. The fairytale-like village with its painted houses is best known for its world-famous 10-yearly Passion Play, next due in May 2020. You’ll see plenty of woodcarvings to browse in this sleepy German Alpine village, which is home to the Bavarian Woodcarving School and surprisingly, to NATO’s key training facility! Day 2 once again provides a thrilling drive through breathtaking Alpine scenery to one of Germany’s ritziest resorts at Garmisch-Partenkirchen. It’s worth the short detour. The journey continues, skirting around Alpine lakes and flower-filled pastures in their summer glory. The beauty of driving with the cabrio top down is that it allows you to hear the clanging of the cow bells, take photos and wave cheerily to friendly locals who pause to watch you passing by. There are plenty of small villages and tearooms to stop for delicious snacks, drinks and Apfelkuchen to keep sugar levels high and feed the adrenaline. Back behind the wheel, head for the medieval town of Bad Tolz, “Bad” meaning “spa” in German. Further on, Schliersee is an idyllic spot to spend the night, with plenty of local restaurants. Stretch your legs with a stroll around the lake or explore the town and admire the blue-and-white maypole “tree” decorated with symbols of local tradesmen, a Bavarian tradition. The final leg passes Lake Chiemsee, which is worthy of a stop. Hop aboard the passenger ferry to the island to see the magnificent Herrenchiemsee Palace, built by Ludwig II whose lavish architectural taste bankrupted Bavaria! Don’t linger, as there is one more unmissable attraction – the Eagle’s Nest - just outside Berchtesgaden. Gifted to Hitler on his 50th birthday, this hunting lodge is accessed via a massive brass elevator that ascends the inside of the mountain. The views are stunning as you stand on top of the world and survey the valleys far below. Although the German Alpine Road ends at Berchtesgaden, it’s worth driving another pleasurable 30 minutes to reach the elegant town of Salzburg. 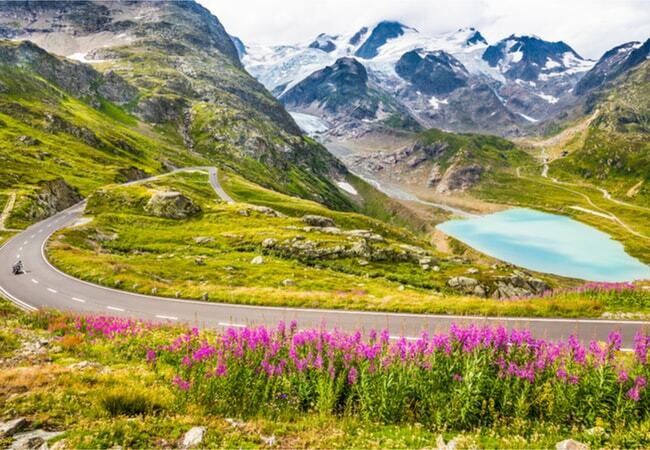 However, you’ll need to buy a vignette to drive on Austria’s autobahns, so stick to the minor roads and enjoy the final miles of glorious scenery that make this road trip such an unforgettable adventure.